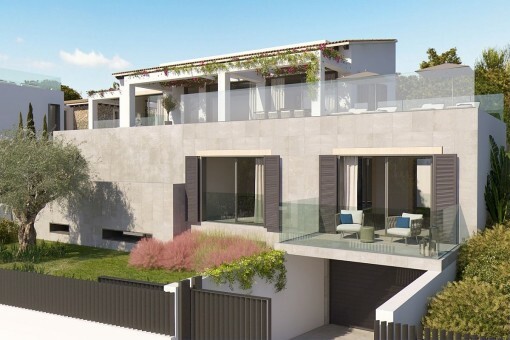 This south-west facing building plot in Nova Santa Ponsa is offered for sale including a project to build a modern villa with wonderful views of the sea and the Malgrats islands. The construction licence is expected to be issued in the autumn of 2018. 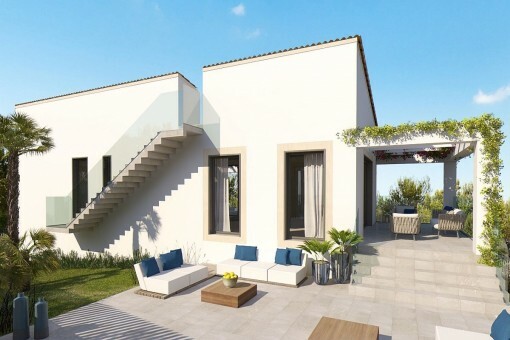 Should the new owner not wish to be directly involved in the construction we would be pleased to recommend a project manager and trustworthy construction companies who can be relied upon to build this dream house. Construction should normally be completed around a year from the issue of the construction licence. Right next to the plot there is a second building plot with a similar project (our ref. no. 111286) which gives the possibility to combine the 2 plots and build one very large villa. 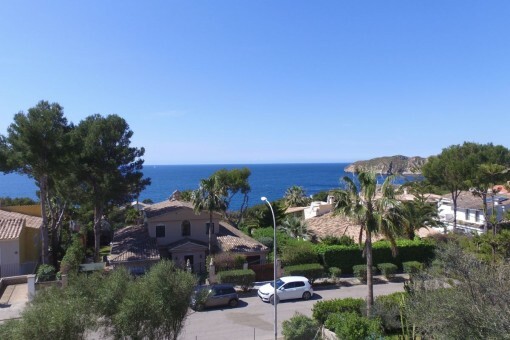 Santa Ponsa is located only 20 minutes from the island capital of Palma in the south-west of the island. 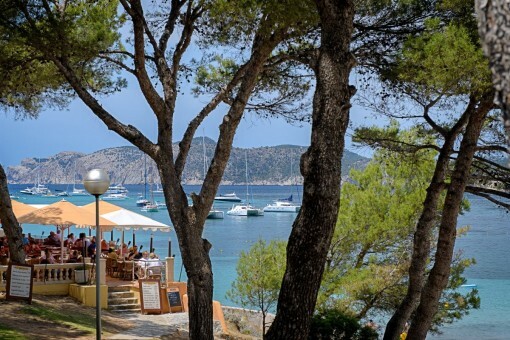 The town centre is grouped around an elongated bay surrounded by rock walls, and numerous typical Mallorcan and international restaurants, cafés and shops are located on the promenade which is separated from the beach area by a road. The beautiful sandy beach is orientated to the west so the sun can be enjoyed until late in the evening. Santa Ponsa has a good, year-round infrastructure and is suitable both for long walks, boat trips, cycling tours, swimming, tennis and golf. Wimbeldon flair can be experienced on the tennis courts, where world tournament players competed at the opening in 2016, and a few minutes from the town centre is a picturesque yacht harbour, the Club Nautico. Santa Ponsa is today noted for its high standard of living, but also has historical importance. Near the town, on the Puig de Sa Morisca, was a Talaiot settlement dating from ancient times to the Moorish era. A little later, in the 13th century, Santa Ponça was the site of a major event for Mallorca - in September 1229 King Jaume I of Aragón landed with his army and led the reconquest of the island from the Moors and to commemorate this a monumental stone cross was erected. Every year during the first week of September the "Fiesta Rei En Jaume" takes place, the highlights of which are the reenactment of the battle and a procession. 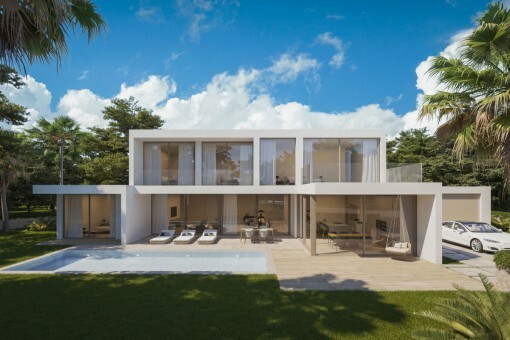 Outside the town centre and nestled between 3 golf courses and Port Adriano is Nova Santa Ponsa, one of the most exclusive residential areas of the island. 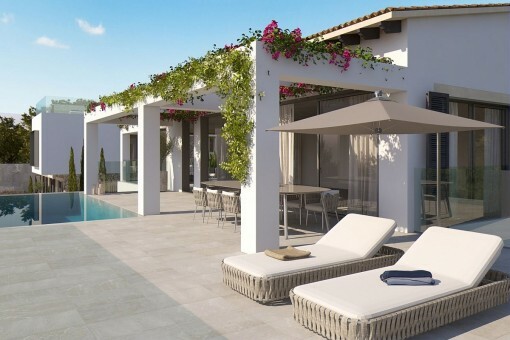 Here the Mediterranean lifestyle can be enjoyed amongst celebrities, and golf can be played in exclusive golf resorts. 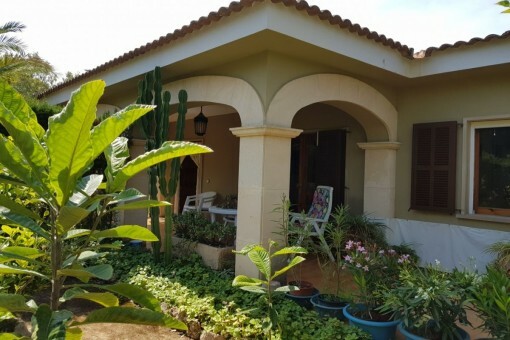 The beautiful apartments in well-kept grounds and dreamlike luxury villas have attracted wealthy tourists and residents from many different countries. A special highlight is the new and very exclusive marina of Port Adriano, designed by the French architect Philippe Starck and one of the most modern ports in the Mediterranean. Motor and sailing yachts with a length of up to 90 metres can be housed here. The harbour, with its 2-storey pier stretching into the sea, has a modern design and offers a fine selection of businesses from fashion boutiques and restaurants up to yacht brokers. On the upper floor at the end of the pier the "Zanzibar" restaurant, well known from the island of Sylt, has secured the best position to enjoy the beautiful view and the sunshine in a modern ambience during the day, or the harbour atmosphere with a cocktail in the evening. This map shows the situation of the Santa Ponsa in Mallorca. We have compiled a selection of the most beautiful beaches, golf courses, marinas and hotels and restaurants for you. 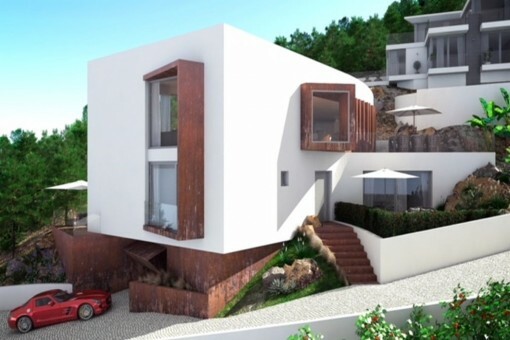 I'm interested in: Building plot in Santa Ponsa including a building project for a modern villa with sea views (Objekt-Nr.111287). 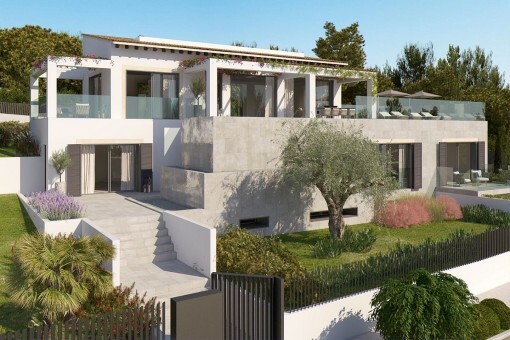 you are reading: Building plot in Santa Ponsa including a building project for a modern villa with sea views-purchase · Porta Mallorquina Real Estate Rating 4,8/5 by 200 testimonials.